GOLFO is a trans-continental poetry zine with a strong appetite for art and photography pairings with poetry. Poems are seen as much as they are read and GOLFO likes to heighten this sense in our publications. GOLFO responds to work that plumbs the depths of counter-cultures and colour to withdraw and play with them. GOLFO welcomes works of all kinds: poems, art, photographs, photos of poems, art of poems, photographs of poem-art, artegraphs of photopoems etc. Submit to golfomag@gmail.com by the 31 March 2019 – biographies prohibited, names required in text of email – in PDF and Word.doc form for (text-based) poems, please also include a transcript in the email & consider that GOLFO is a magazine so long poems will be less likely to find room. Maximum 3 poems per submission. Images or art submit as PDF or PNG, maximum ten images per sub. 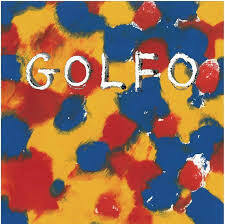 Note that GOLFO has a design preference of primaries (yellow, red and blue).